In Hindu religion, goddess Durga is called the “Aadishakti”. The devotees, who worship divine mother Durga, Maa protects them with all the evils and destroy anger, selfishness and ego from them and blessed with courage and happiness. According to mythology, Sri Durga Chailsa is a powerful prayer dedicated to goddess Durga Maa. This prayer is composed in 40 verses. 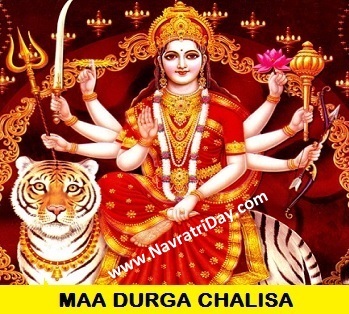 Sri Durga Chalisa is written about goddess Durga’s avatars, strength, courage and beauty. The people, who recite Sri Durga Chalisa get rid of from all the sins and get success in every work. Devidas Sharan Nij Jaani, Karahoun Kripa Jagadambe Bhavani.